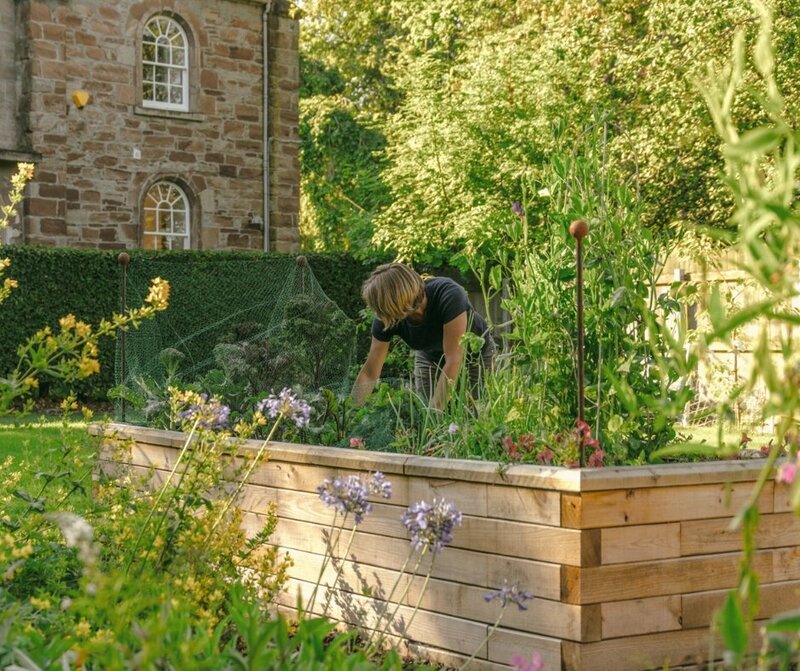 Many people choose wooden raised beds for growing vegetables and fruit because the extra height makes watering, weeding and pest control much easier. New beds need to be filled and you have a choice of using surplus soil from your garden or adding brand new soil, if you choose the latter you will generally receive a fresh, weed-free mix which nutrient-boosting soil improvers or compost can be added to, giving you greater control over what your produce is grown in. 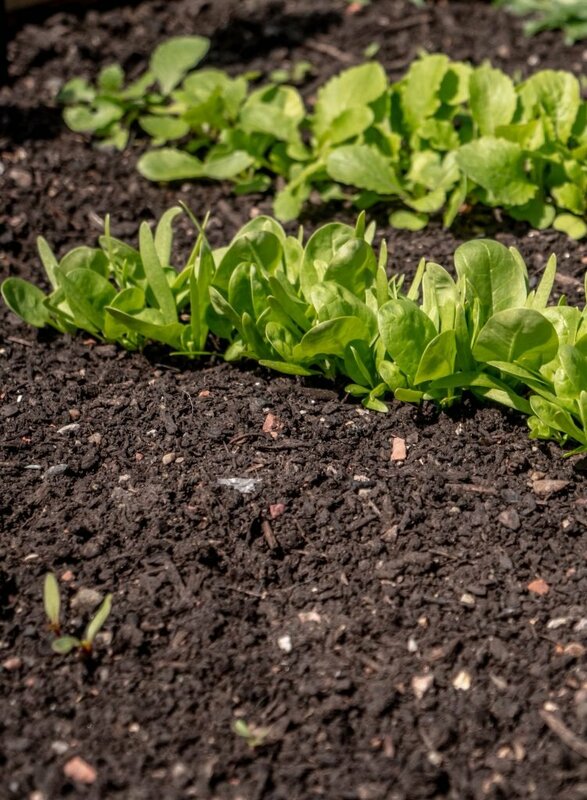 Raised beds can also be used to grow annuals and perennials, shrubs and even plants that need to be grown in specific soil, including ericaceous varieties such as azaleas, rhododendron and camellia as you can adapt the soil to suit. Raised beds are a great addition for boggy or clay soil too as, providing improved drainage. 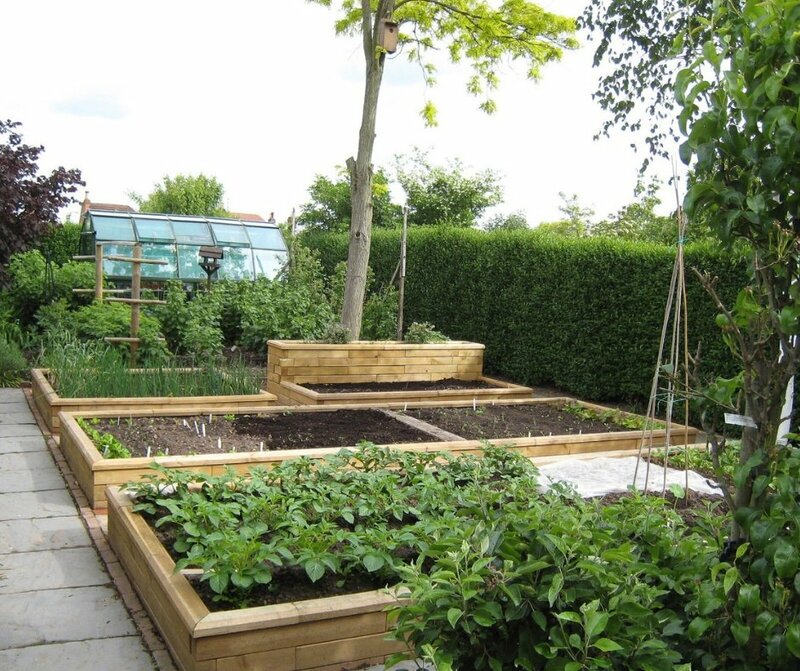 The depth or height of a raised bed is totally dependent on its end use and end user. 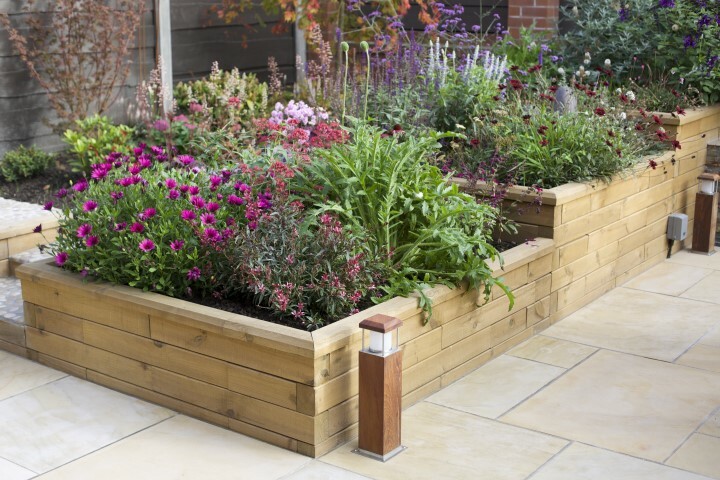 Low level raised beds (0.25m) are ideal for dividing up growing areas and growing shallow-rooted plants. 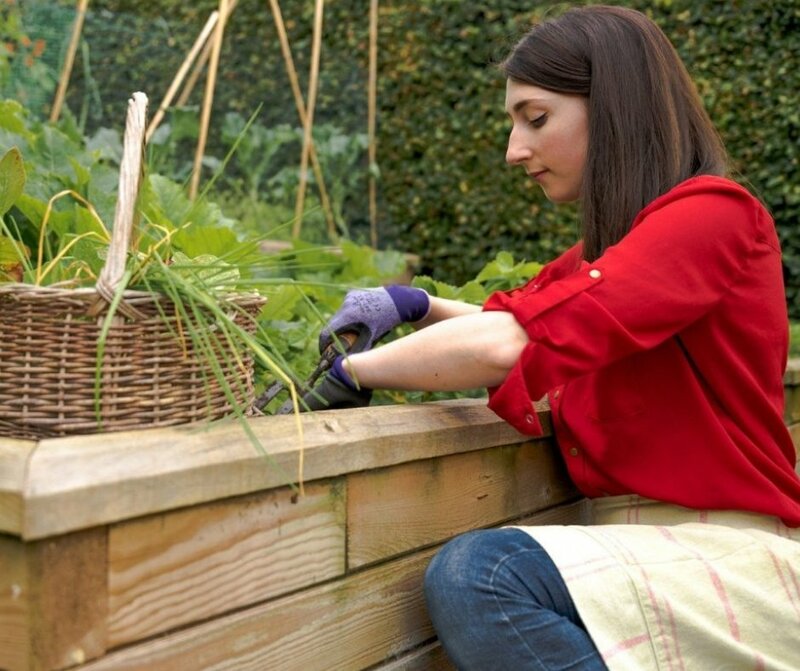 For controlling pests such as rabbits or for keeping pet dogs away from your planting, a raised bed up to 0.45m will keep them at bay, and for ease of access, a tall raised bed from 0.55m is ideal. Read more over at our Size Matters blog. Wood is one of the best materials for raised beds and ours are made from the highest quality timber, the wood is pressure-treated and because WoodBlocX are pre-drilled, the non-toxic treatment penetrates to almost 100% of the wood, making our structures durable, long-lasting, and a great alternative to railway sleepers which tend to be chemically-treated. 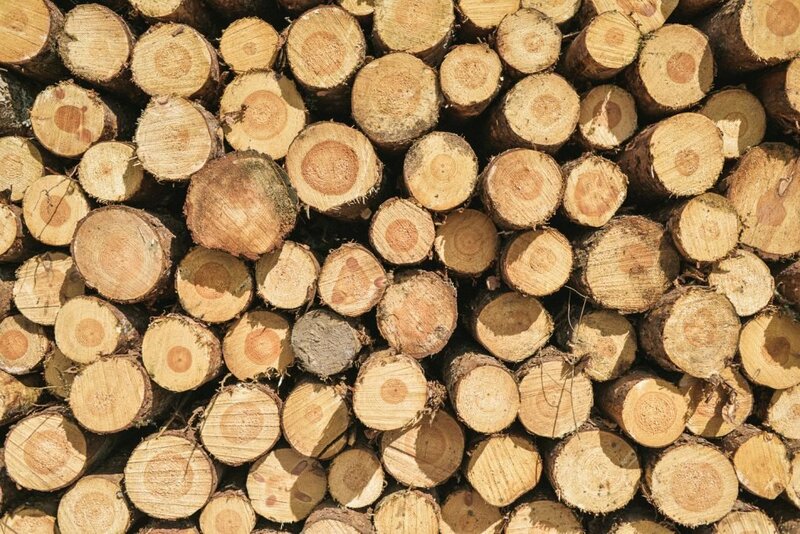 We use rough-sawn wood which will naturally fade to a grey over the years and doesn’t need any maintenance or treatment. Raised beds built directly on soil or grass do not require any drainage, those built on patios, tarmac and concrete could benefit from a drainage layer at the bottom if the bed - stones or gravel can be used for this. 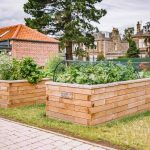 WoodBlocX raised beds of all sizes allow for drainage through the air gaps between each block. 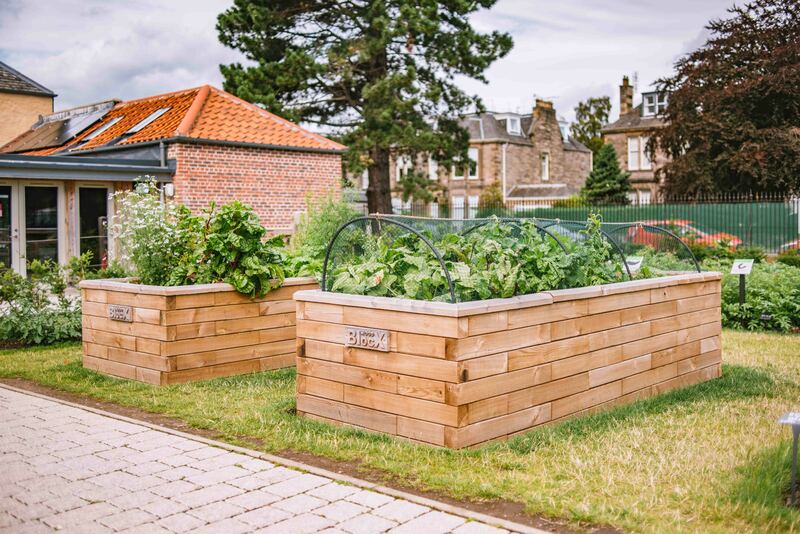 Raised beds can be accessed without having to walk on them, this prevents soil compaction, helping plant roots to grow more freely and take on more nutrients, which helps them to become more resilient to disease and frost.